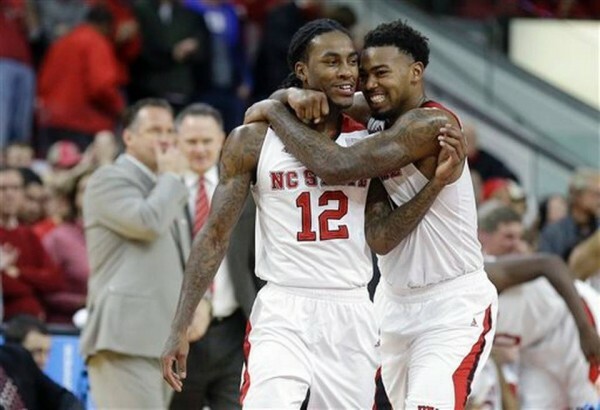 The first cut is the deepest, and the opening loss of the season for Duke causes a wave of joy throughout the ACC and also among a lot of college basketball fans across the country, as North Carolina State cause the huge upset against the number two team in the nation with a 87-75 win. It wasn’t just the first loss for the Blue Devils; it was the first time they trailed at half time all season. After a promising start the 3-pointers couldn’t stop dropping, as the Wolfpack players finished with 10-of-16 from beyond the arc and not afraid to attack the paint and Jahlil Okafor. Trevor Lacey with 21 points and Ralston Turner with 16 did most of their damage from long range, but Duke had problems handling Beejay Anya with 14 points in 19 minutes and their very close to home rivals shot 55% from the field. Duke were panicking. That is what happens when three freshmen are on the floor and the game slips away from you. The decisions are no longer any good, the brain stops working. They shot only 36.9% from the field and took 27 3-pointers, instead of keeping things on their side, and trying to work their biggest advantage. Okafor had a big day with 23 points and 12 rebounds, but got no help from his teammates: Tyus Jones and Matt Jones combined to shoot 2-of-14 from the backcourt, Justice Winslow struggled with 3-of-13 from the field, including 1-of-6 from beyond the arc. The loss wasn’t that surprising considering Duke have lost their last three games in the PNC Arena, including to Mercer last year in the first round of the NCAA tournament. Quinn Cook, a senior, bemoaned losing on all three appearances for him inside the building. It leaves him and his teammates with a bitter taste in their mouths about this building, but also taking a little hit to their confidence after dropping a game for the first time this season. Being bullied in the paint had something to do with it. North Carolina State are hard to score against due to the blocking abilities of Anya and Kyle Washington. The duo finished with eight blocks and the team had 10 overall, forcing Duke to take bad shots from the outside. 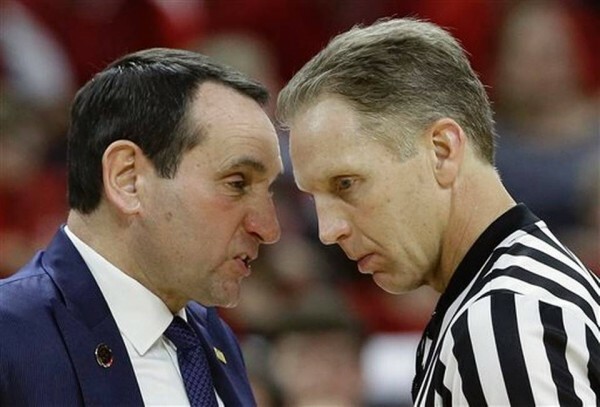 Just like teams are picking up on what works and what doesn’t against Kentucky and will catch them at one point, the same has happened to Duke, and it probably won’t be the last time.